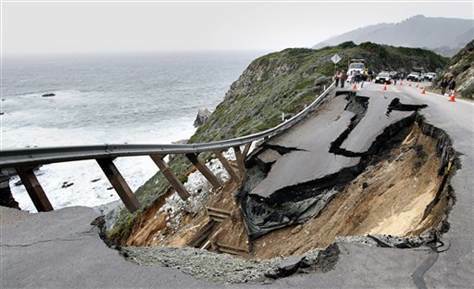 This past Wednesday, 3.16.2011, a 40 foot section of Pacific Coast Highway fell into the ocean. Has anybody been noticing the swarm earthquakes in California over the course of the last four days? 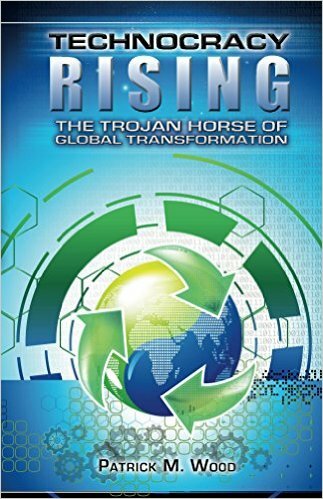 To many this may just be geologic happening, to others is is more awareness of the future that has been foretold in the prophesy of 2,000 year old words. We have been given a mind that can reason, but reason with understanding is what makes one “intelligent” enough to see a greater picture in our life, and futures. Yes John I agree; in spite of how uncomfortable it may make us feel, it would be foolhardy to ignore spot-on biblical prophecy unfolding before our eyes. not going to comment on religious fervor, but we do worry the just a small piece of the cali shelf breaking offf would have very dire consecquences. I’ve driven on that roadway that gave way and it happens with some regularity. It’s simply a cliff that gets undermined by the ocean. I love that drive from Carmel to Big Sur and hope they get it repaired soon because I’d like to take that trip again. That swarm of earthquakes along the San Andreas Fault is something else. You can see them all with Google Earth along the fault east of Monterey Bay. A swarm of quakes in the 1.x range may signal that something bigger is coming but there’s no way to tell. Again, this sort of thing has happened before with no consequence as it did in ’76-’77. Dynamite is a wonderful invention. If the State of California is not too broke and if it is at all feasible, engineers might want to consider explosives as an alternative to their highway curse. If Forestry is the only thing in the way, tell’em to get over it! Engineers could blast away some boulders and reroute that troublesome section of road away from the precipice. It might impair visuals somewhat but at least the motorist would be more apt to get home alive. I suspect the reason nothing has been done to date is because a construction project of this magnitude in a sparsely populated region would be difficult to worm into the state budget. Is California still on the IOU system? Yet it is cost prohibitive to keep repairing the old road. For engineers to continue re-patching that specific section of highway and expecting different results is known as insanity. Besides, no one seems to be motivated to carry out frequent, routine inspections underneath and on surface. Otherwise, an inspector on foot would have noted hairline fractures prior to a motorist discerning cracks in the asphalt she was driving over. Also, the road’s foundation is evidently notorious for instability and sloughing action, an untenable condition that needlessly endangers motorists’ lives. Engineers can do anything if they put their minds to it; they love the challenge. During the opening of Canada’s North, dynamite was the product of choice to conquer many engineering feats. For instance, in 1942, the American Army bulldozers simply used the point of least resistance to blade out a winding, primitive, 1,645-mile wartime supply route in nine months from Dawson Creek, British Columbia to a place near Fairbanks, Alaska. Cutting a swath through the northern wilderness was not an average task. Some of the 50 private contractors gave up in frustration before anybody came to grips with the permafrost that kept consuming their road. The exposed overburden melted in the summer heat and sucked up newly-applied gravel. Finally, they learned that logs served nicely as a corduroy-road base to lay over the permafrost. As the disturbed frozen earth thawed, the logs were sucked into the quagmire, too. The road builders finally learned to replenish nature’s insulation with brush and dirt, then gravel the refrozen ground. Driving that goat trail, opened to public travel since 1946, was an adventure best rendered to the ragbag of reminiscences. Vehicles skidding on ice and mud were hurled off the mountains into oblivion below. Huge sections of highway caved in unceremoniously and swallowed entire tractor-trailer units. Sobering red signs sprouted up bearing numbers of motorists killed at this or that spot. Gradually, highway contractors straightened, improved and shortened the road’s length. Instead of leaving the road to treacherously loop around or over the top of a mountain, engineers blasted the whole obstacle to smithereens and rerouted the roadbed closer to the valley floor. With time, money and truckloads of dynamite, the Alaska Highway has been transformed from a dangerous-to-navigate goat trail into a comfortable, two-lane, all-weather, chip-sealed highway. It doesn’t mean that the road doesn’t still experience frost heaves and wash-outs due to run-offs and torrential rains. But explosives have rendered the inconveniences fewer now. The northern road-building specialists learned how and when to blow away whole mountains to make room for the highway; how and where to install culverts to prevent floods and erosion; how and where to secure the roadbed and banks with riprap and where to seed vegetation to prevent soil erosion. Another northern engineering feat credited to the ample use of dynamite was famed railroad-builder Michael Heney’s undertaking of a narrow-gauge railroad from the Alaskan coast at Skagway, Alaska and blasting his way over the formidable Coast Mountains where, in places, the rail bed clings breathtakingly to steep sides of granite. This international endeavor, which many skeptical board-roomers doubted could be accomplished, resulted in the first White Pass & Yukon Route locomotive chuffing 110 miles over freshly-laid track from Alaska’s Lynn Canal into Canada’s interior at Whitehorse, Yukon Territory in July, 1900. When all else fails, give men something to blow up. They’ll create a miracle…or a war!